With the advent of the World Wide Web, ‘computing’ has gone beyond the traditional computer science, information systems and software engineering. The Web has brought computing to far more people than computing professionals ever dealt with and led to mushrooming growth of Web-based applications. Implicitly, computing professionals are no longer the privileged intermediaries between computers and other people, as end-users and the technological advances take their toll. On the other hand, the new applications must still be developed in disciplined ways. Engineering embodies such disciplined methods. While the generic term engineering, meaning a systematic application of scientific knowledge in creating and building cost-effective solutions to practical problems, is integral to many disciplines, the term Web Engineering per se may not be widely understood or accepted at this stage. 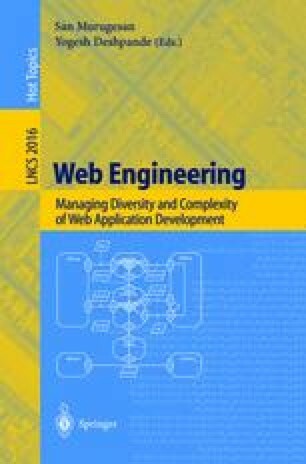 This paper elaborates on the concept of Web Engineering, relates it to computer science, software engineering and information systems, draws upon past experiences in software development and critically analyses it from the point of view of computing professionals who are not themselves engineers.